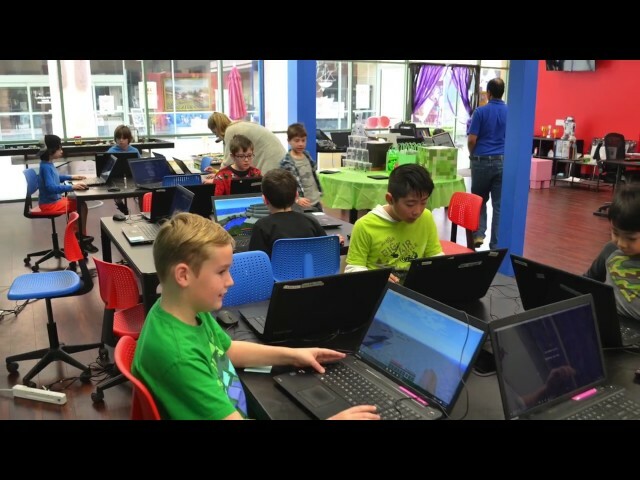 Birthday Party – Sandbox Computers for Kids, Inc.
Do you want to give your kid the best Birthday Party? Sandbox offer a variety of fun Robotic or Video Game Party packages to make each party memorable for every birthdaychild. Apart from the planned activities, there are 3 video game stations, a foosball table and a lego building table for kids to play with. Owen had such a great time. Thank you so so much for the video and amazing decorations. He will always remember it! I’m sure we’ll see you soon in a class! What a great video!! Wow! Thank you so much! Feel free to stop by or call to discuss further. We can tailor it to your specifications. We have several themes for these Party Packages: about 2 hours of fun group activity, where they get introduced to a new skill and do individual/team project. You are welcome to bring Food and Snacks. If you are planning on Lunch/Dinner, 1 hour added to your booking at no additional cost. $29/participant for the party, for 10 or more kids. $35/child for a party of less than 10. Please fill out the following inquiry form, we will make the best party for your kid!